We often get asked about our recording equipment and creative process. What follows is a definitive guide to The Superego Sound. Beware, this is meant for podcasters and gear-heads only. 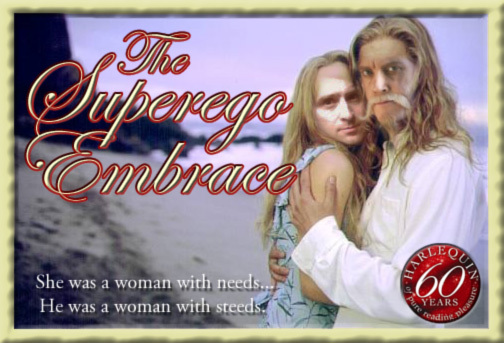 If you’re looking for romance, please see The Superego Embrace. 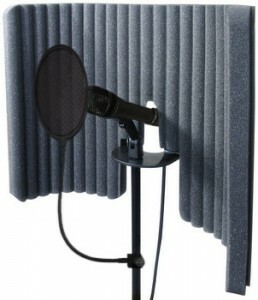 As of season 3, we use 4 Sennheiser E 845-S Dynamic Super-Cardioid Microphones with Stedman Proscreen XL Pop Filters. — I’m already bored. Each microphone is mounted on a Shure A55HM Half-Mount Isolation and Swivel Snap-In Shock Stopper Mount. — That name is ridiculous. The stands have Primacoustic VoxGuard Nearfield Absorbers mounted on them to guard against ‘microphone bleed.’ — A 70’s radio DJ torture technique. It’s real. It was a long process in finding what worked best for us. Since our situation is different than most podcasts in that we need to be able to isolate each microphone’s channel as much as possible for editing purposes, we chose a mic that has what’s called (Praydayder) a lot of ‘off-axis rejection;’ which just means it records what’s directly in front of it as opposed to a normal cardiod pattern or condenser mic which records a greater all-around area. — Nice sentence, Joyce. We used to use a hodgepodge of cheap dynamic and condenser mics. — Were we ever so naive? Our microphones go into an SM Pro Audio PR8E 8-Channel Microphone Preamp, followed by an S-com 4 – Four Channel Compressor/Gate, then a PreSonus FP10 FIREPOD firewire converter, and finally an iMac G5 or a MacBook Pro depending on whether we’re recording at my house or, ‘In The Field.’ — That’s a badass journalist term, but I think it applies. The compressor/gate component is vital if you are recording anything that might go from a whisper to a scream. Dealing with this problem was a great source of frustration for us. Peaking vocals cause distortion, and distortion, as you know, is the enemy. — Not to Oasis though. Christ, lay off for a song. The three main pieces of hardware are rack components that fit into a portable rig/bag.— Which makes it compact enough to travel and heavy enough to not travel. 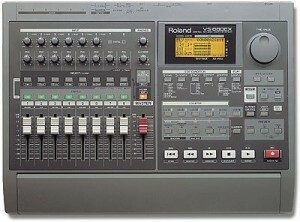 When Superego began, it was recorded on a Roland VS 880X digital recorder. I had to edit by ear, instead of with visual waveforms like we all do now. — Can you believe there used to be ears?! For most of season 1 and part of season 2, we used a small Behringer Eurorack UB802 mixer. — It’s European, so that’s why those episodes sound a little fancier. Superego is recorded on GarageBand. It’s simple to use but still has a lot of pro features, like the ability to record separate channels simultaneously. 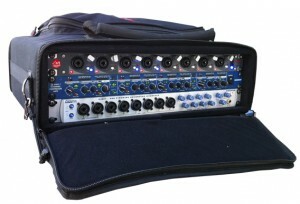 It also easily integrates with the PreSonus FP10. — I’m considering moving to Logic, but it intimidates me. We used to record and edit everything on a two channel (stereo L & R), buggy little program called Sound Studio. I would pan my mic to the far left, and Jeremy’s to the far right to isolate the channels for editing. — This limitation led to a lot of background bleed, which you can hear quite a bit on season 1. 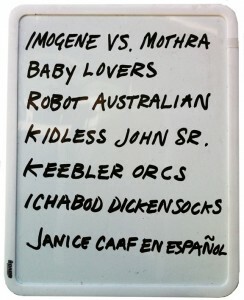 We begin each recording extravaganza with a quick whiteboard pitch-session. We usually try to start with something simple and go from there. All of our sessions are improvised with a little discussion beforehand. If there is a special guest, we provide a vegetable dip and Mother’s cookies. We typically record 4-6 ideas a session and maybe two to three are worth editing down. — One. After we’re done, we usually watch religious television. — That’s where Leroy Jenkins came from. This is where most of the labor of love goes. The nice thing about GarageBand is it allows you to save effects and EQs. Once the content editing is finished, I apply a basic EQ with speech enhancer and just a smidge of reverb. The next step is very important. 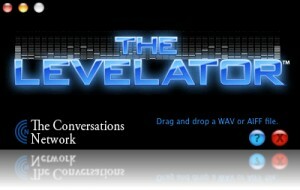 Every podcaster should be using Levelator, or its equivalent. It’s free and it normalizes your recording so the listener doesn’t get shocked by horrible spikes in volume. Most people run the final track through Levelator, but I run each individual track of every sketch through and then further tweak the volume for dynamics. — The Superego quality guarantee. GarageBand has an impressive library of sound effects and royalty free music. So good in fact, that it’s popping up everywhere. Not a pharmaceutical commercial goes by where I don’t recognize a GarageBand jingle. I’ve used just about every one at this point, so it’s time to look elsewhere. YouTube is a good source if you don’t mind borrowing. I use Audio Hijack for Mac to pull from YouTube. This site is also a great resource for sound effects. — So is that Police Academy guy, if you can get him. The other nice thing about GarageBand is that it has a built in podcast category. You can take your audio file(s), add artwork and chapters, and enhance the podcast so that the image changes while the podcast plays. This enhanced podcast is exported as an .m4a as opposed to a standard .mp3 file. Some players aren’t compatible with .m4as. — They are pussies. 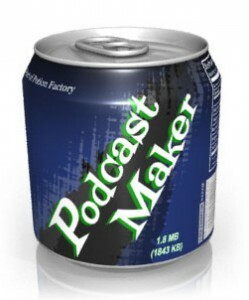 Hunker down, publishing is by far the most frustrating part of podcasting. In my experience, podcasting is still a medium that is figuring itself out. We’re no doubt in the puberty of podcasting. Between iTunes, your server, or another server like Blubrry or Libsyn, there many things that can and will go wrong. We’re almost 5 years into this thing and I’m still weeping regularly. — Like puberty! 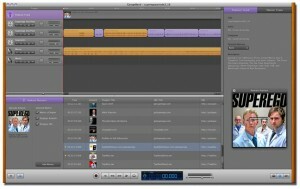 We used to use Podcast Maker for Mac — it’s a great all-purpose tool for publishing podcasts to iTunes. I switched to manually editing our XML file because PodcastMaker was messing with our enhanced format. You can find the basics of XML here and here. I would go through it all but it’s better left to the experts and I still only 49% know what I’m doing. — And I would no doubt weep again. We use Blubrry to host our files because when we ran into the wonderful problem of having excessive downloads, our server hit us with huge overage fees. When you host your files on a server like Blubrry or Libsyn, you pay a flat fee for unlimited downloading bandwidth. You may not need it immediately, but get ready to switch on a dime if your podcast becomes popular quickly. — Like Soledad O’Brien’s ‘3 Dicks Talking!’ podcast. Hope this helps. God knows I could have used it. I may still use it. Feel free to comment if you have any questions and I’ll try to respond.